Car Covers for Indoor and Outdoor use for your Bristol 410 and 411 Coupe. Voyager tailored car covers for your Bristol 410, 411 Coupe are light yet very strong. 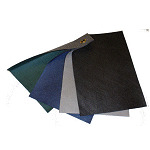 They are often used on daily driven vehicles where overnight protection is required. Good compressability and small storage size make these ideal to remove and pop in the boot when not in use.